Caution: Birth images ahead :) Nothing graphic, but if you're like my husband and even the slightest hint of anything related to birth makes you queasy, just pass on by this post! Late this fall, Marilee booked me for a Fresh 48 session. 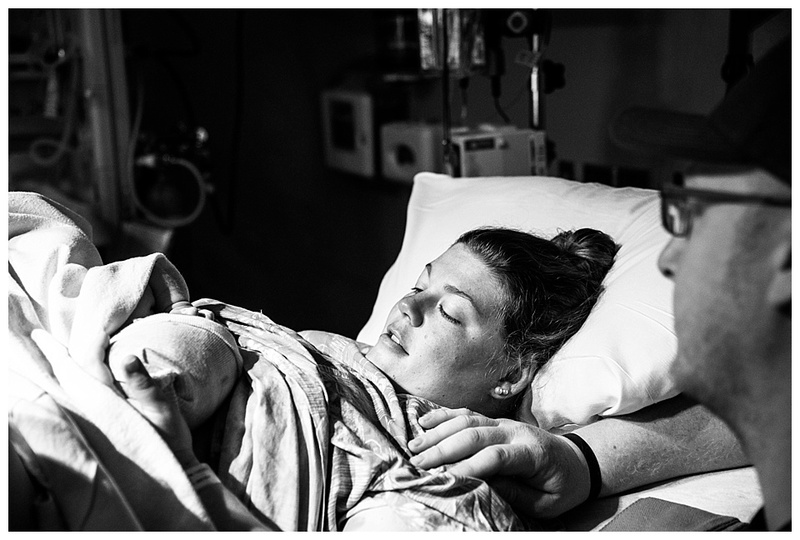 About a week before their baby's birth, Mark and Marilee asked if I would be willing to photograph the actual birth - they didn't know the gender of their baby and thought that it would be fun to have me capture their reactions. 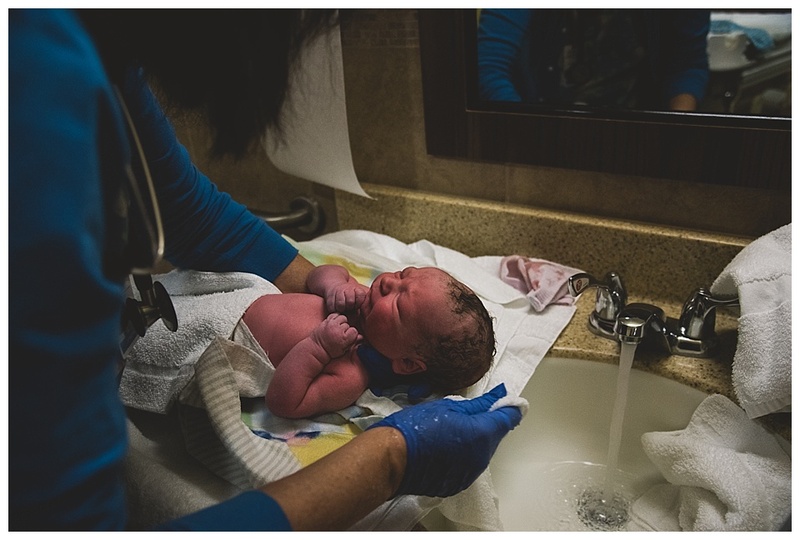 It took me a bit to decide to go for it; I've never been one to think the birth process is awesome (with my own kids, I was pretty much "just get them here safely, then clean them up, then I'll hold them") and I worried that I wouldn't be able to handle it. In the end, I put my fears aside and told her yes! Marilee kept me updated throughout the night that she was induced. 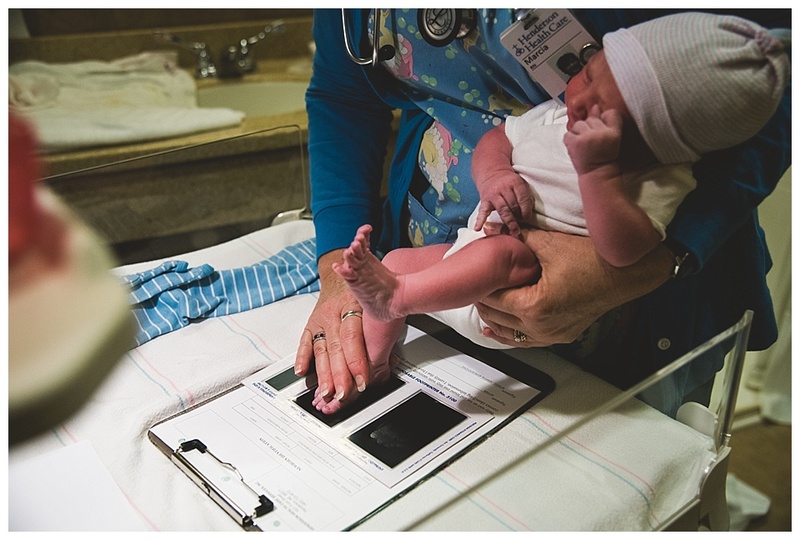 At 6:15 a.m., she texted to say that she was dilated to a 6. I got the kids off to school, then thinking that I had plenty of time, hopped in the shower. 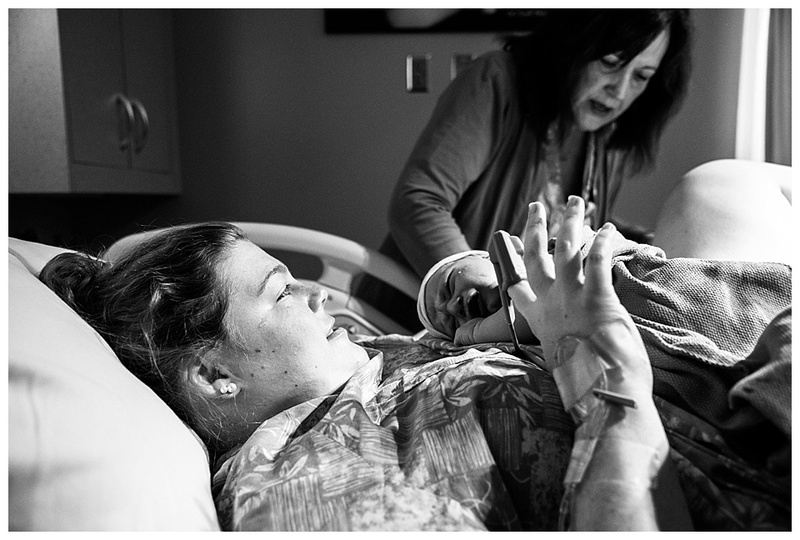 Right at that moment, at 8 a.m., Marilee texted again to say she was about ready to start pushing! 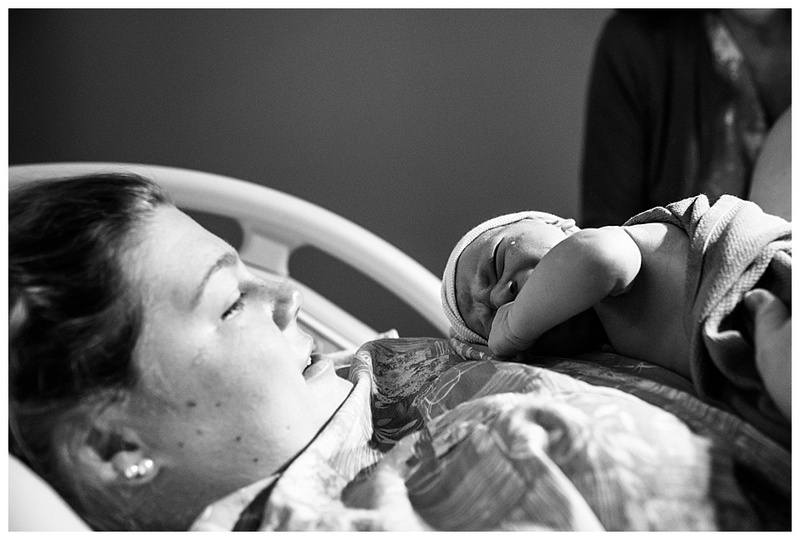 I rushed into town (we only live 6 miles away and I drove fast) and got to the delivery room at 8:15. The nurse told me that I had plenty of time and that there was no rush. Well, baby Kinnick Dean was born at 8:27 a.m. It was pretty awesome. Bringing a baby into the family is such a big deal and I loved the reactions from Mark and Marilee. It was also fun to see how everything happens when I'm not the one giving birth. But it was stressful. On-call is not the life for me! 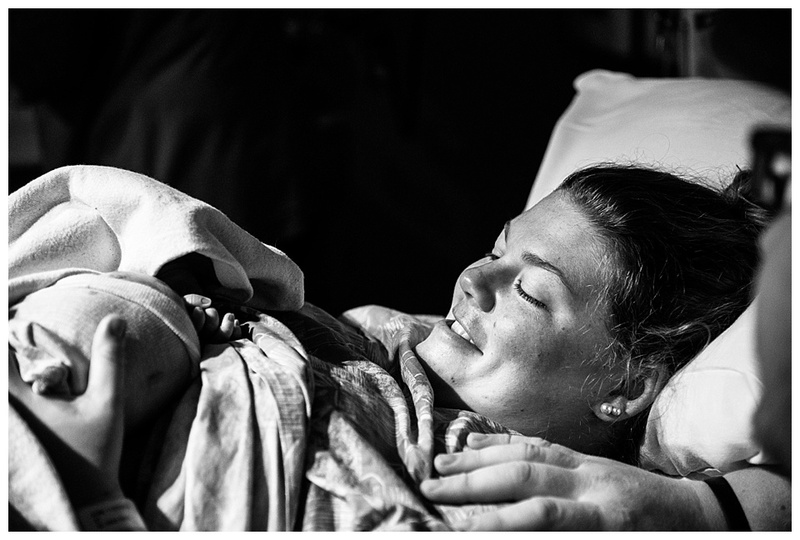 Every tip I read about birth photography was to make sure to be prepared for low light. So I went into it thinking I'd be shooting in low light. Well, I completely forgot about the spotlights they turn on as the baby is being born! Basically sunlight and I fumbled with my settings at the crucial moment. Will I do another one? I don't know. Maybe. Possibly.